This is a unique opportunity to learn from a Master. 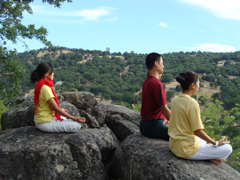 Yoga and meditation practitioners will gain new perspectives in their own practice. Tulku will be giving a total of four workshops from 1 - 2 hours on meditation, including teachings on karma and reincarnation through sharing his own life story.